We here at WWR are fans of funky designs. Sure, we will carry on and on about readability and legibility on watches (particularly those we’d envision wearing for decades), but we also have soft, soft spots for those watches that focus more on some crazy designs and ways of indicating the time – especially if they’re affordable. In the past, in that vein, we’ve talked to you about Mr. Jones, Projects Watches, and TokyoFlash. Well, the latest brand to jump into that arena is OTO Watches. 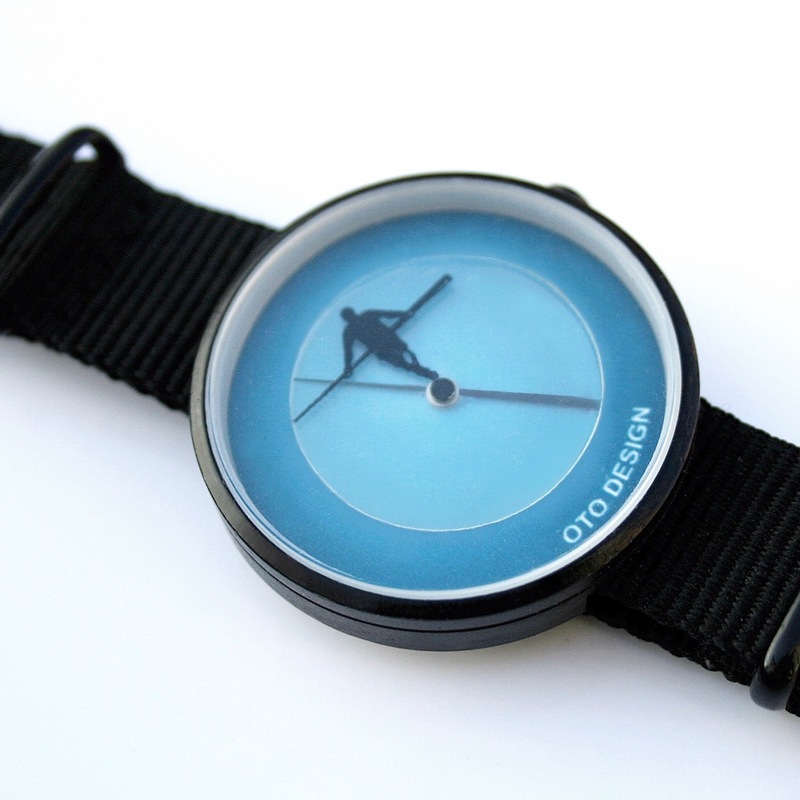 As you can see from that image above, OTO Watches is hitting the market with two designs. The Aspiration keeps the time telling a bit simpler, albeit with a disc that is (I presume) rotating on the second, bringing additional slats into the mix. Then, you’ve got the Cutting Edge, which brings a tightrope walker into the mix and makes for a slightly more complicated time-telling adventure. But, as with most of these funky designs, in my experience, after your first day or so with the watch, you’re able to tell the time without too much thought.